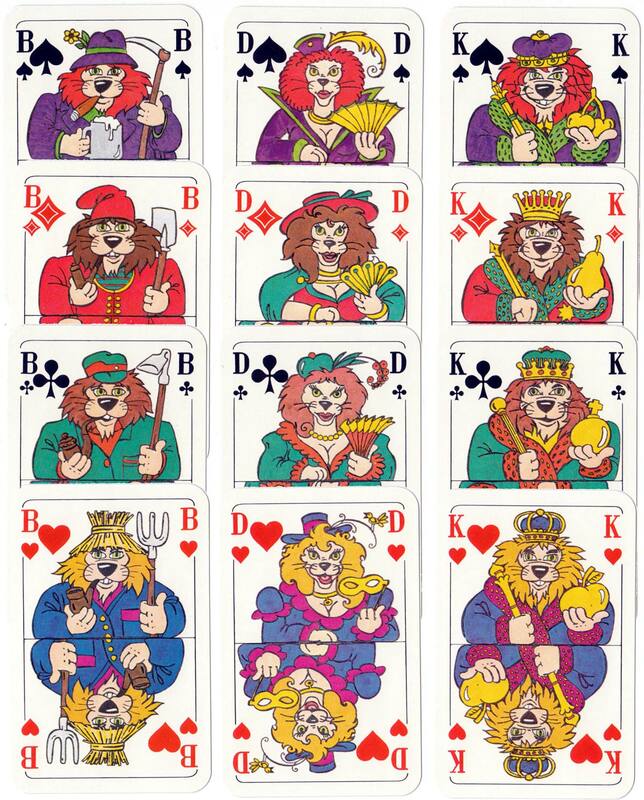 Skat deck for Löwen Entertainment, a German producer of electronic gaming machines, designed by Werbeagentur Bucher & Finke, Bingen, 1986. 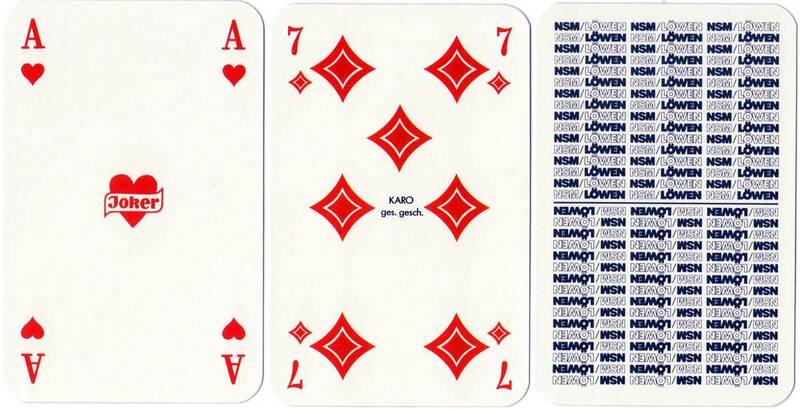 Above: Skat deck for Löwen Entertainment, a German producer of electronic gaming machines, Berliner Spielkarten, 1986 onwards with various back designs. 32 cards + score card. Images courtesy Rex Pitts.